This is an article from todays The Yucatan Times. It is an editorial from the owner of the publication. What is interesting is I was in the office this morning discussing some upcoming news stories, when he walked in and asked me to read this article, and tell him what I thought. It was pretty cool, I felt like I was in an old TV episode of “Lou Grant”. As most American firms are trying to tap into the quick-growing Hispanic market, others do not realize its potential. Donald Trump is the perfect example of one of those. 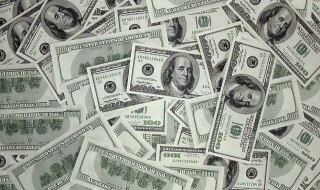 Companies are adapting to a market, which Nielsen estimated in 2012, would have a buying power of $1.5 trillion USD by 2015. According to their research, the number of Latino-Hispanic households earning more than $50,000 USD a year is growing at a faster rate than the general population. This means that the Hispanic population is no longer a sub-segment, but a full market segment that could shake the economy of the country. This market has grown to the extent that if the Hispanic market in the United States were an individual country, it would rank among the top 20 economies in the world, but wait! It is still growing and is expected to increase from 17% of the population to 26% by 2050, according to the Pew Hispanic Center. Now companies face an interesting challenge, how will they communicate with this market? Well for starters I can give you a hint. Can you guess what that is? If you can´t: Good luck. The answer is Spanish, which by itself it´s not enough, this will have to be accompanied by a lot of research and development. It is quite more complex than that of course, but it is a good start. Why do I say Spanish and R&D? Some companies have already tried to reach this segment and failed, as it happened with CNN Latino, a year-old experiment that targeted bilingual Latinos with Spanish-language programs in attempt to reach the United States almost 60 million Hispanics. TV stations in big and small cities had signed on to the programming, such as KBEH in Los Angeles and WTAM in Tampa Florida. Hispanic/Latino population is so diverse and its interests so varied that it’s difficult to cater to it when seeing as a mere faceless demographic group. Which is the same as thinking that all African-American people or Asian descent/ascent groups like the same. When it comes to crafting television series, clothing lines, make up or news coverage, companies face a tough challenge starting with the fact of not even being sure of which language to use to market their products/services. The Hispanic population remains the fastest-growing demographic in the U.S.
10 Hispanic origin groups —Mexicans, Guatemalans, Salvadorans, Hondurans, Colombians, Ecuadorians, Peruvians, Puerto Ricans, Cubans and Dominicans— make up 92% of the U.S. Hispanic population. It is to be considered by the marketing departments that most Hispanics hold on not only to their customs and traditions but to their mother tongue, Spanish. That is the reason why established Spanish-language networks like Univision or Telemundo have succeeded in the United States but not only them…P&G (Procter and Gamble) General Motors, AT&T, USbancorp and Kraft, to name a few, are amongst the top Spanish language advertisers in U.S. traditional media and internet since the Latino market in the first quarter of 2012 accounted for 11%, or $2.2 billion, of total e-commerce purchases made across the United States and they are the most active group of people in the United States´ social media such as Facebook and Twitter in the range of 80% compared with 75% of African Americans and 70% of white Americans. Hispanics outpace all ethnic groups in mobile data service consumption including music and picture downloads, and at a growing rate. Overall, Hispanics are 28% more likely to own a smartphone than non-Hispanic. The average mobile phone bill is 8% higher for Hispanics than for the general market. This has led to an advertising growth increased by 20.7% for the Hispanic market compared to 1.7% of non-Hispanic market. There are 8 states in the U.S. that have a population of 1 million or more Hispanic residents: Arizona, California, Colorado, Florida, Illinois, New Jersey, New York and Texas. New proposals in media, such as Fusion, a joint venture between ABC and Univision have learned how complicated this market is. In an article published by adweek.com on March 2014, Fusion CEO Isaac Lee said their team had spoken with thousands of young Hispanics and learned that they weren’t interested in programming that would appeal only to them. Since 2011 American companies have spent billions of dollars ($5.7 billion just in 2011) on ads targeting the Hispanic market. Some have had a ROI, many of them wasted their money since the corporations may already be reaching Hispanics and not even know it. So, what is next? Lots of hard work ahead for the marketing departments since specific, strategic segmentation will have to be conducted within this large group, by group, with variables such as ethnic, religion, race, life style etc. translating that into understanding the idiosyncrasy of the Hispanic community. Those trends will increase as the Hispanic population robust and continues gaining in numbers, buying power and political influence. How many Hispanics currently work directly or indirectly for Trump´s corporations? How many Hispanics vacation in Trump´s hotels and resorts? *José Eugenio Palomeque-Urioste is a Business Intelligence professional in the area of ​​Research and Development. He began his training process in mass media writing scripts for radio programs, commercials and advertising campaigns. Since then, he has written for newspapers, magazines and mass media in Mexico and the United States, ranging from the professional to the editorial and has written 3 fiction novels that have been presented in numerous forums and literary competitions causing much controversy as to its content. You know, you could not make up some of the stuff that happens to me on my travels. I always end up in the strangest of places and circumstances. Yesterday and last night was one of those prime examples here in Merida. I have been in Merida all week conducting some business here, and meeting with the people at The Yucatan Times. So yesterday I did not have much to do, I am still at the Trinidad Hotel in downtown Merida, right in the center of town. I thought to myself, it has been a good week for me, a good week for the future of Mahahual, and a good week for human rights in the USA. I decided to go do some shopping, and get some things I needed that I can’t get in Mahahual. So I started walking around looking for a street I saw earlier in the week, that had a bunch of watch shops on it. I was looking for a cheap plastic or Swatch watch, something that will not rust overnight in Mahahual. So like a tourist, I set out looking, and before I knew it, I was totally lost. Somehow I had ended up in this huge like farmers market or bazaar, they call it here. Hundreds of little shops, restaurants, booths, stalls, and vendors, with people selling everything you could think of. I mean this place was huge, and I was walking around looking for an exit to the street, and kept getting more lost. There were hundreds of people all around me, and of course like most times, I was the only American, or Gringo, in the whole place. I am used to it by now, everywhere I go I stand out like a sore thumb. And like always, I was wearing my South Carolina Gamecock hat and shirt, and you should have seen some of the looks I got from some of the Mexican people, as I walked by. I bet they were thinking to themselves, “Who is this crazy Gringo, who is way off the beaten tourist path, and what is he doing in here”? I mean this is a side of Mexico that the average tourist does not get to experience, sights, smells, sounds, and all. Finally, I see some daylight, and I make my way to the street. I find out I am about 20 blocks away from where I started, and I was lost. So I started counting streets, and made my way back to the hotel, hot, tired, and exhausted. I bet I walked 10 miles, and still no watch. I got a good walking tour of old Merida though, and saw some things that a lot of people from the USA will never see. So I took a shower and a nap. When I wrote up from my nap, I got a WhatsApp message, that is how you communicate here a lot, especially Mexican women, they use it all the time. It was a Mexican female friend that I had met earlier in the week. She said she was coming to town, and did I want to meet to get something to eat at this place she had told me about. She said we could eat, and then she had to meet a friend who was leaving the next day I think, and needed to go say goodbye. I said no problem, I was tired and not in the mood for a long night anyway. She then said we could meet at 10:30pm for dinner at this place around the corner from my hotel. I thought to myself, damn that is kind of late for me for dinner, but it is the custom here, so no problem for me. So we met for dinner, great nachos, and listened to some salsa music, of course, while we ate. Just as we were finishing dinner, she leans over and tells me, the guy she is supposed to meet is outside the restaurant, and he is waiting for her. Now how this guy knew where were eating is beyond me, but I told her don’t worry, go ahead and go, I will pay the check, and I will talk to you later. She then said she would see me the next afternoon sometime. Now this is not the first time this has happened to me, a guy show up, and I am sure it will not be the last. So after she leaves, I start back to my hotel, with the thought of taking it easy, maybe just hang out in the room or something…. wrong. As I got back to my hotel, I noticed in the bar across the street some live blues music being played. I decided to go in, maybe have one beer, listen to some live music, and then walk across the street and turn in, wrong again. I was sitting at the bar having a beer, when I noticed these two young women, and two young guys beside me drinking a pitcher of beer through four straws at one time. Now in all my days, I have never seen this before. I then asked them if any one of them spoke English, and to my surprise, they all spoke perfect English. Come to find out, they are all graduate students here in Merida. My new Mexican gay friends, living it up. My new Mexican women graduate student friends. So we started talking and having some drinks, and before I knew it, they said they wanted me to go to another bar up the street with them that stayed open later. They kept insisting that I go with them, to this other bar, and it would be fun. I had a couple of drinks with them, so I said why not. As we were walking to this other bar, it kind of hit me, these guys with the girls, are not with the girls, they are both gay. No problem for me, “live and let live”, is my motto. So we walk to the bar the whole time speaking English, and they are telling me what they study and stuff. So as we get to the bar, I look up and it is the same bar that I went to with my salsa dancing friend earlier in the week. I tell the women, look this is the bar where the woman I just had dinner with hangs out, and maybe I should not go in, because she might be there with her boyfriend, and I did not want to start any problems, or make it look like I was checking up on her. They laughed and said “This is Mexico”, don’t worry. As soon as I stepped in, who did I see, my salsa dancing friend that I had ate dinner with earlier, there with her boyfriend. Again this is not the first time this has happened to me in Mexico. So I did my best sleuth imitation, and kind of snuck around the other side of the building, to avoid running into them. I told the group I was with, see I told you she is here, and this is going to be awkward. They thought that was hilarious, and asked me, where is she, I told them, she is here with a guy like I thought. The place was so packed, I had no idea if she saw me or not, I just hung out with my group and listened to the music and took it all in. We had more drinks, and the next thing I knew, the lights came on and it was like 3:30am, and the place started to empty out. I told them I had a good time, and thanked them for inviting me along, even though I was old enough to be their father. We exchanged email and phone number information , and I walked back to my hotel all alone, to call it a night. I have not been out like that, and partied like that, in a long time. Today I am feeling it, hung over, tired, and sore from walking and bumping into people all day and all night. But I am glad I got to experience what I did last night. I got to meet some young Mexican graduate students, who accepted me, and treated me very well, and were very respectful, and intelligent. They added greatly to my time here in Merida, and I will never forget the night I hung around with Mexican college students all night in Merida. I am sharing this article today from http://www.sipse.com about how tourism is on the rise here. The article is translated from Spanish. They estimate an average occupancy of 85% in the various destinations in southern Quintana Roo. 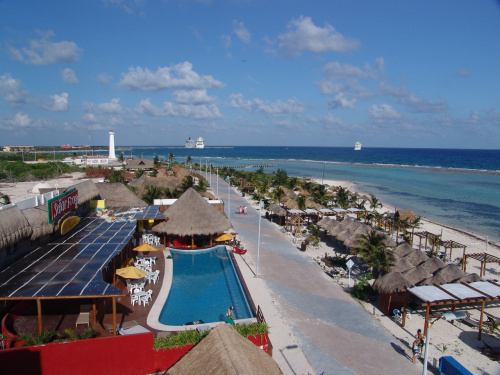 Chetumal, Q. Roo.- Grand Costa Maya The Trust expects an increase of 10 percentage points in the tourist visitors flow during the summer 2015, estimated Chamber Fernando Salazar, president of the Trust. According to statistics of the State Secretariat of Tourism in Chetumal there are two, 400 hotel rooms, 900 rooms between hostels, apartments, cottages and hotels in Mahahual and Bacalar 400, which would achieve an average occupancy of 85% in the destinations, that is, the arrival of about six thousand visitors. Salazar House said that in the first half of the year have had contact with travel agencies, tour operators and tourism service providers Chicago, Madrid, Berlin, Guatemala, Honduras, El Salvador, Italy and, of course, Mexico, where it has promoted Southern Quintana Roo. The hotel infrastructure of the Grand Costa Maya is distributed as follows: 72 hotels in Chetumal, 39 hotels in Mahahual, Bacalar 32 hotels and two hotels in Kohunlich. Among the activities to be performed, according to the catalog offered by the Trust itself you are the Chetumal rediscover visiting museums, parks, fountains and colonial houses as well as archaeological sites. Bacalar enjoy the Lagoon of Seven Colors and clear waters of Mahahual, sites, where you can perform various water sports or simply enjoy the tranquility that characterizes them. Here is a post I did on a local Facebook group here in Mahahual. I try to explain why I don’t write my blog in Spanish, and to avoid some confusion. I tried to use Google Translate to write something in Spanish as a courtesy to some of my Mexican readers, and it caused a big backlash, I hope this helps to explain my dilemma. “I thought I would share this to avoid some confusion. I am reblogging this because I have added new information about my Mexican salsa dancing friend. My Mexican press card and ID is working out pretty good. Yesterday I went to buy a lanyard so I could wear it around my neck like they do here. After I bought it, I thought I would try it out and walk around downtown Merida to see what kind of reaction I would get. I was finishing my trifecta of American fast food. I started off the other day at Subway, then the day after Burger King, and yesterday KFC. I was standing at the counter with my press id around my neck, and I ordered a “Duo” special there which is 2 pieces of Colonel Sanders chicken, mashed taters,cole slaw, a bisquit, and a drink. So I stood patiently in line like I was do, and when my food came out, this little cute Maya girl slides it to me, and come to find out there were 3 pieces of chicken on my plate. I kind of looked down, and she winked at me, pointed at my press badge, and grinned at me. I grinned back and said “gracias senorita”, to let her know I knew she was giving me an extra piece of chicken. I think I made her day. I tell this press id is already paying for itself, extra fried chicken at KFC. When I lived in Playa del Carmen last summer I basically lived at the Mega Store. I know fast food is not good for me being a diabetic, but I have been walking around so much around Merida, I know I have been sweating and burning off all that bad food. Plus, I am only eating it this week, next week, back to rice and beans, and tortillas in Mahahual. I have pretty much covered the whole downtown area of Merida walking. Today I walked over to the Paseo de Montejo, where the offices of The Yucatan Times office to meet with them, and got to see that part of town. Ok, now back to my first day with a Mexican press card and ID. I started walking around after lunch doing some sight-seeing, and I was wearing my badge, just to see what the reaction would be. I was carrying my old Iphone, like a tourist looking at the old church and some of the other colonial buildings. I went into the Governor’s Palace to look around, and the two policemen standing there at the entrance, saw my press card and parted like the Red Sea, and let me in. Everywhere I went people would look at my badge, and do a double-check. Well I went around like this for a while sight-seeing, and then it started raining really hard, so I headed back to my hotel. I took a good nap while it rained, because that is a perfect time for a siesta. I woke up and decided I was going to stay in, and not do any sight-seeing that night, just do some work, write a blog, or maybe just watch some TV on my computer. I decided I would go around the corner, get a pizza for dinner at a place I had walked by earlier, and bring it back. I ordered my “Chico” pizza to go, 43 pesos, not bad. While I was standing there waiting on my pizza, I noticed a beautiful Mexican woman sitting there on a stool, looked like she was waiting on a pizza. She kind of smiled at me and looked my way. I think I asked her if she spoke English, and was the pizza good there, She told me yes, she spoke a little bit of English, and yes, the pizza was very good there. She then asked me,if I wanted to get a table upstairs, and eat with her. Now I am not stupid, so of course I said yes. We went upstairs and had a great dinner, mine pepperoni, hers margarita. My salsa dancing new friend. While we were having dinner, she told me after we ate she was going to meet some of her friends at a salsa club to dance, and did I want to go with her. I suddenly forgot about staying in the hotel room and doing some work, and said sure, but I did not know how to salsa dance, but I would watch her, while she danced. We went to this place and it was packed, with everybody salsa dancing, or attempting to salsa dance. I was the oldest person in the whole club surrounded by young Europeans and Mexicans salsa dancing everywhere, and bumping into each other. It was my first experience in a salsa club, so I just watched and took it all in. It reminded me of my days in the discos in the 1970s. Well after midnight, we left, because she had to work the next day, and I had a meeting myself. I had watched her salsa dance, and I told her she could make some money in Mahahual teaching tourists off of the cruise ships and other people there how to salsa dance. She got a cab, and I walked back to my hotel, and I got home around 1:30 am, so much for grabbing a quick pizza and going back to my hotel. That my friends is the story of my first day in Mexico with a genuine Mexican press card and ID, not a bad start. Editors note: Since I wrote this blog yesterday, my new friend said it was alright to put in a better photo of her and her name. I always ask before I put people’s names in. My Mexican salsa dancing queen is Odalis Castro from Chichen Itza I think, here near Merida. She is of Mayan descent, and she works at a bank here in Merida. She speaks better English than I do Spanish, so we converse in English. She is planning a trip to Mahahual soon. Here is her photo, she has one of the prettiest smiles I have ever seen. Odalis Castro, from Merida, my new salsa dancing friend. New settlements are born in the colony Kilometer 55 in the community of Majahual. More than 10 families have invaded private land from about 3 months ago. Apparently part of this invasion is attributed to someone identified as Sergio Carvajal, a character who supposedly has been previously prosecuted for this crime type. More than 10 families in extreme poverty that have made the private land in this neighborhood their new home. The slum has been brewing for about 3 months, and this part of Majahual both residents as people who have come from outside. Wooden houses they have built with their own hands, many of which are half-finished, form the sad panorama seen in this colony, as part of the invasion that continues to expand. Many of these families who have small children, have been convinced under false pretenses for installation and inhabit the place, and even though they know they are committing an illegal act, say they will stay there because they have no other place to go. Elsewhere in the community has also been gestated a slum, it’s a strange guy who has built a small wooden house and board aside from Fisherman’s Wharf, an area of ​​mangroves. Some people know where it came from, while others said they came looking for work in the community, and even helped with the redevelopment of the waterfront. Upon completion in the work, the subject went to live in Majahual, settling first on a privately owned, but some time later was run by the owner. Now he has built, as it has been, a small house at most two meters long and 2 meters wide other, right next to the fishing pier. The subject says that about a lady who owns a business gave him permission to stay in this area, however it is a federal area on which any resident has jurisdiction. 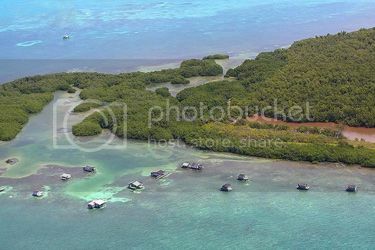 Besides giving a bad image to the tourists who come to destiny, to make his battered housing had to destroy part of the mangrove there is, which is protected by Mexican environmental laws plant. Although the destination authorities have asked to leave, the lord of more than 50 years refuses to move, and this may also be a problem of unhealthy because nobody knows where he relieves. I, Stewart Rogers, am now an official member of the fifth estate in Mexico. 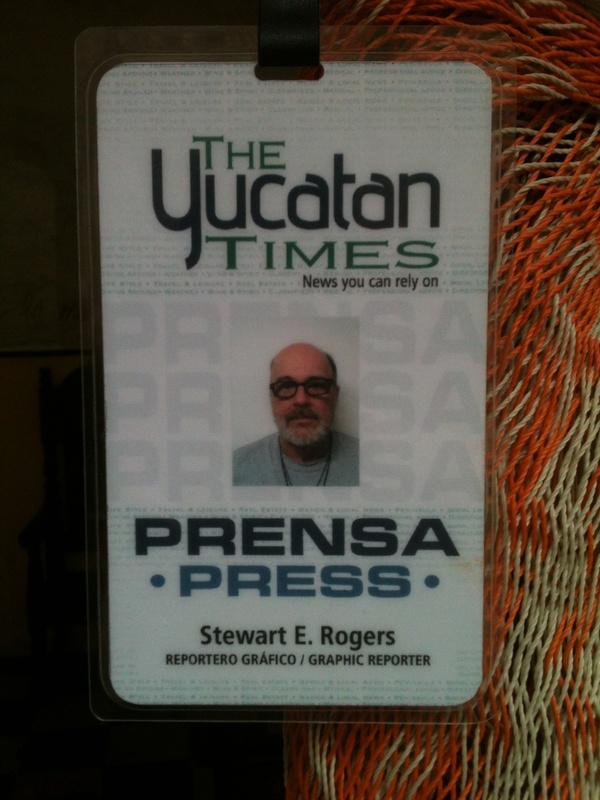 I got my press card and id from http://www.yucatantimes.com today. I will be covering and reporting from southern Quintana Roo, and that includes, Chetumal, Mahahual, Bacalar, Xcalak, and anything else related to the Mexican Caribbean. The Yucatan Times, is a widely circulated newspaper style website out of Merida that reports on news and events in the Yucatan peninsula. I met with them yesterday and today, and I am very impressed with their operation. I was amazed at their circulation, and number of readers. I thought my blog was getting a lot readers. They get more in a day, than I do in a month. And like my blog, they get readers from all over the world. In fact we looked it up, 187 readers from Greenville, South Carolina off of my blog, have visited the website in the last couple of weeks. I was amazed at how they could break down all the numbers and statistics. So if you have any news or events you would like reported in the Yucatan Times, get in touch with me. I am in Merida now, but I should be returning to Mahahual soon. My email is s.rogers.920@hotmail.com, or you can find me on Facebook. Now we want current and poignant news, not somebody stole your cat, or whose husband is seeing who, or there is a pothole on your street. Since now I am a reporter, I think I am going to change my name from Stewart, to “Scoop” Rogers. I never liked the name Stewart any way. Every TV show with a guy named “Stewart”in it, the guy is a dork, or nerd. Or “Gamecock ” Rogers would be a good pen name. Here is a photo of my press id, I did not realize how ugly and bald I have gotten lately, now I now why I wear a hat everywhere. I guess that is why she left. My new press card, I miss my hair.